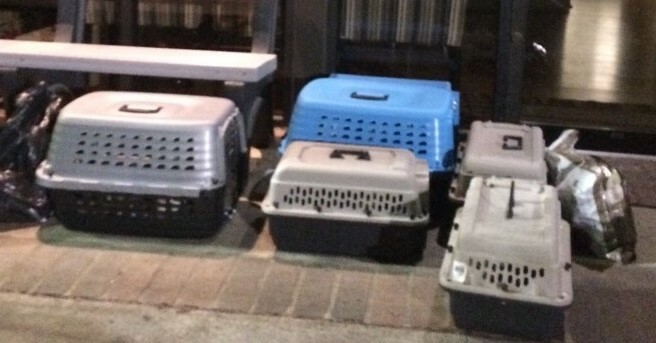 On March 23, in the dark of the night, 26 cats and kittens were delivered, in desperate conditions, to the front porch of the Furkids Cat Shelter. 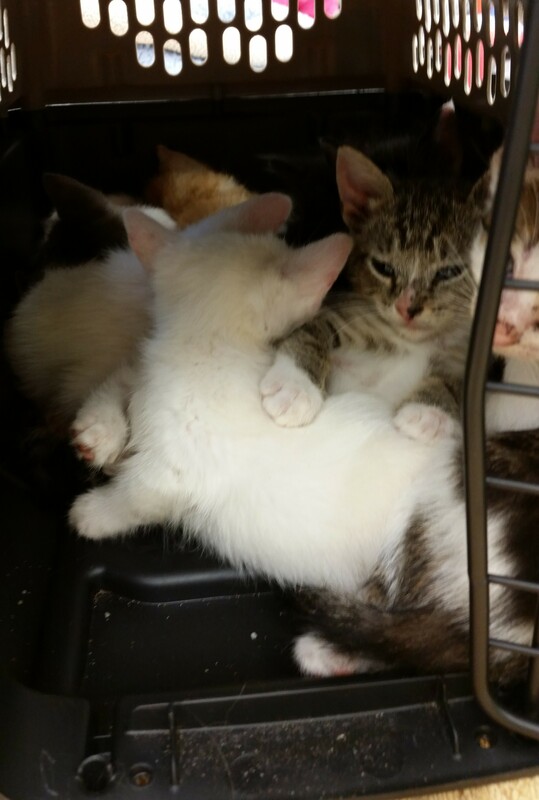 Crammed into seven carriers (one carrier had an adult and nine kittens), they were scared, dirty, hungry and didn’t know where they were. The Furkids staff and volunteers began medical triage to evaluate the condition of every, single, animal – all 26 of them. 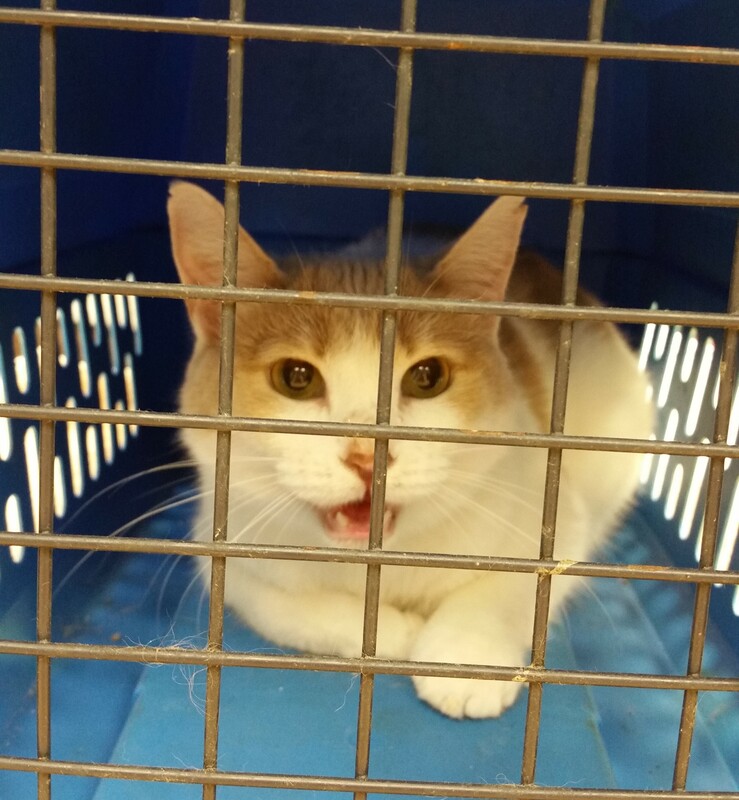 What we found is this: one pregnant female, in labor (has since given birth to six kittens); two litters of kittens, nursing moms, three FELV positive kittens, and a host of medical needs. 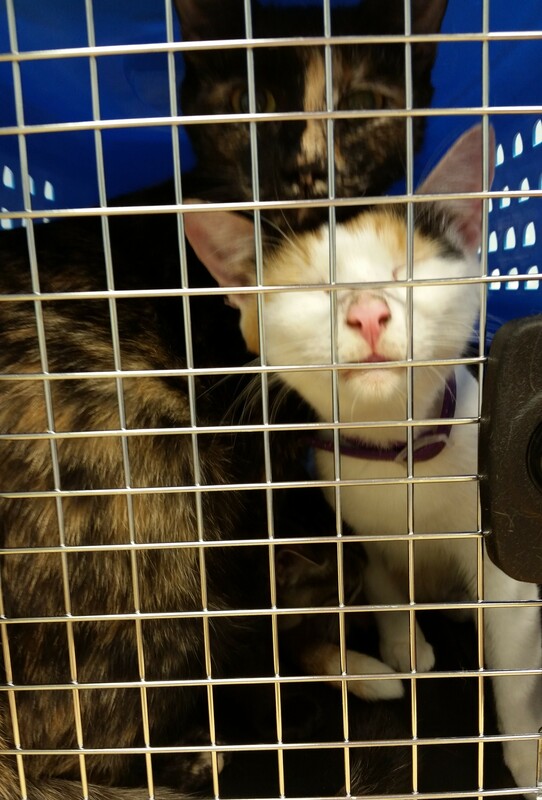 While some of the animals were already altered, several need immediate care medical care: eye removal, dental surgery, FELV treatment for some of the kittens and other challenges.